Marco Rubio's approach to personal finance could make some retirement advisors cringe. (Bloomberg Politics) — Marco Rubio’s approach to personal finance could make some retirement advisors cringe. The Florida Senator and Republican presidential candidate has cashed out retirement savings early, sold a home at a loss and spent money on luxury goods while still holding student debt. 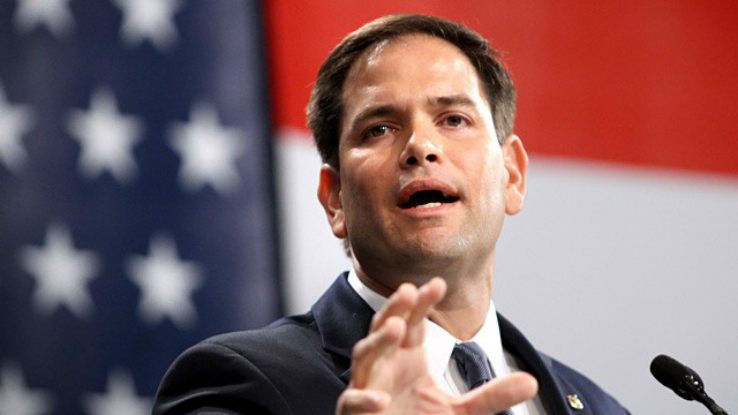 Rubio, 44, liquidated a $68,000 retirement account, according to reports in the Associated Press and New York Times. Financial planners usually tell clients to tap into 401(k)s or individual retirementaccounts only as a last resort. That’s because of the tax-free growth they offer during working years and the hefty penalty usually charged for withdrawals before age 59 and a half. The reality is, 401(k)s and IRAs have become the go-to emergency savings accounts for many Americans since the financial crisis. In 2011, 5.7 million tax returns, or about 4 percent of all U.S. households, reported paying penalties on early withdrawals from retirement accounts, according to Internal Revenue Service data. The IRS collected $5.7 billion that year from penalties, meaning that Americans took out about $57 billion from retirement funds before they were supposed to. Another group of Americans are tapping their 401(k)s through loans when they need to buy a home or endure another type of financial pinch. About 22 percent of Americans had loans outstanding from their 401(k)s as of March 31, according to Fidelity Investments, the largest provider of the plans. The national picture for student-loan debt is even worse. Only 37 percent of borrowers are current on their loans and actively paying them down, according to a report by the Federal Reserve Bank of New York in April. About 17 percent are in default or delinquency and the bills continue to mount because of the ever-rising cost of college and graduate school. Rubio has paid off $150,000 in student loans, his campaign said today in a statement. Rubio isn’t alone when it comes to losing money on a real estate investment, especially in Florida. As 2014 came to a close, about 17 percent of mortgaged homes in the U.S. were underwater, meaning the borrowers owe more than the properties are worth, according to Zillow Group Inc. And more than a quarter of homes have negative equity in some markets in the Midwest and Florida. Rubio sold his second home in Florida’s capital, Tallahassee, this year, for $18,000 less than he and a friend paid for it a decade ago. The house had previously faced foreclosure after delinquent mortgage payments, according to the New York Times. Rubio’s team disputes the Times’ story as an unfair representation of the senator’s approach to his finances. Rubio is unlike most Americans in one important way: He was making some of his financial decisions at the same time his political star was rising toward the presidential race. Being on that stage catapults his chances of landing lucrative offers than can plug money holes quickly–whether he wins or loses. Already, Rubio’s $800,000 book deal in 2012 helped turned the family’s financial picture around, according to the Times. They’ve started college savings accounts for their children, donated to charity and refinanced their primary home mortgage. “The good news for them is that they can get chances to redeem themselves–another book deal, speaking engagements, etc.–that an average American won’t have access to,’’ Steffen said of the Rubio family. That political-celebrity safety net may help offset a personal splurge: According to the Times, Rubio spent $80,000 on a speedboat.